When it comes to Google Adsense we need to monetize our site with ad unit accurately for revenue. Most of the time we recommended setup Adsense Ad in the post area for better results. If you are a WordPress user then you able to go setting your ad unit with plugins. 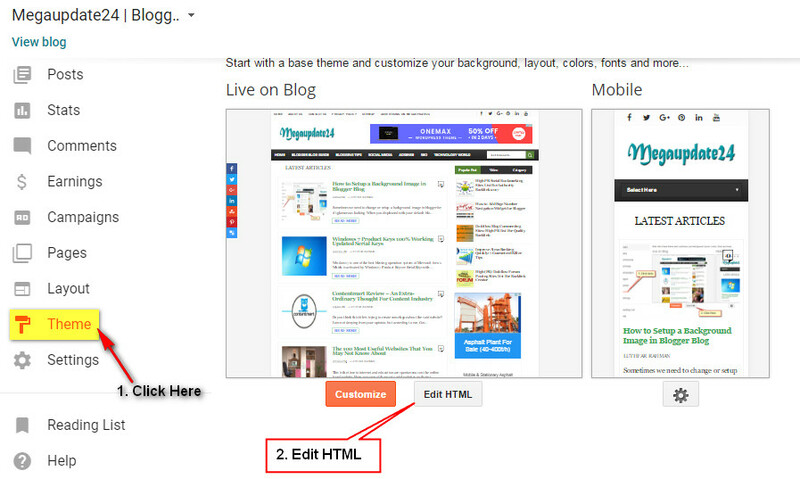 But in a manual option as like blogger or others platform user you will be settings Adsense Ad in the HTML Area. Maximum online editor file which we see in Google Blogger Blog aren't approved direct code from Adsense for the live ad show. 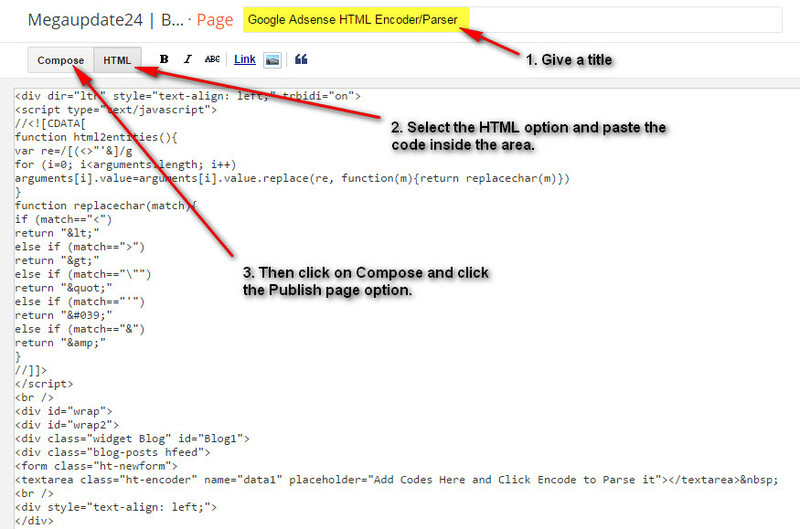 Then we need to go to Google Adsense HTML Encoder/Parser Tool for encoding our ad codes. And then received it in Blogger HTML area. There are so many blogs, tools are the Internet for encoding or parse HTML codes. But in this post, I shall go to give an idea or some rules for making a tool in your website for encode AdSense ad. Actually, HTML encoder tools is an online tool that allows users to escape HTML characters (<, >, &, " etc.) into XML forms to ensure proper display of HTML Codes. It is one of the most familiar tools in the online for encoder or parser Adsense code and turns HTML into XML. 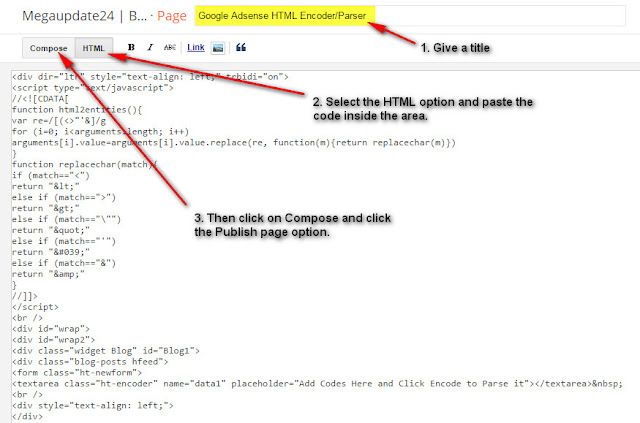 Now we cover up how to make Google Adsense code parser tool in blogger blog page area. Let's see hot to make it with following some steps and adding some codes in page area and blogger dashboard. First, you will need to go Blogger Dashboard with (Sing In) your blogger account. Then click on the Page option and create a New Page. Now give a Title>> HTML>> Paste The Code Inside The Area from below and Click On Compose. Then Click on Publish Button. Now you are half of done and follow these steps for successfully create an HTML Encoder or Parser Tool in BlogSpot blog. In the second steps. You click on Theme>> Edit HTML. Now click on the code area and press Ctrl+F for finding this code ]]></b:skin> for adding CSS Codes. Now copies the CSS codes from below and paste before/above the ]]></b:skin> position. Click on the Save Theme option and you are done by adding HTML Encoder Tool in Blogger Blog Page. Now view the page which you created and start encoding your HTML code to XML. Hope so enjoy this post and successfully done by adding parser tool to blogger page. If face any trouble about this post. Care to ask me via the comment section. I will be committed that try to help you in solving your problem. Help me with sharing this on social media for reach more people.